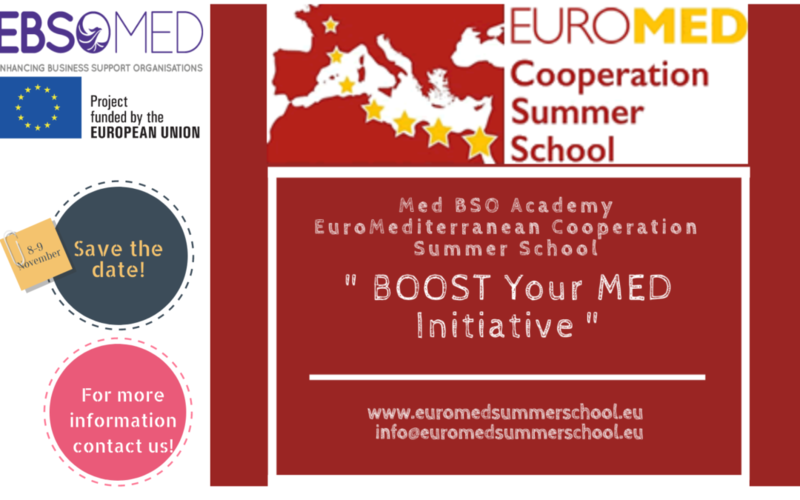 Med BSO Academy Euro Mediterranean Cooperation Summer School REGISTRATION 2018 is now OPEN! “BOOST Your MED Initiative!” is one of the Med BSO Academy workshops in project development and management, designed in order to improve the capacity of the EU and MED BSOs to develop international cooperation projects in the Mediterranean through better information on funding opportunities and capacity-building activities on project development tools and methodologies. CLICK HERE to find out who will hold the course!